Château La Grange is a small family estate owned by Alain and Jean-Marie Bel. It is located 5 miles northeast of the town of St. Emilion, and borders on Château Cap de Merle, the home estate of the Bels, located in Lussac St. Emilion. 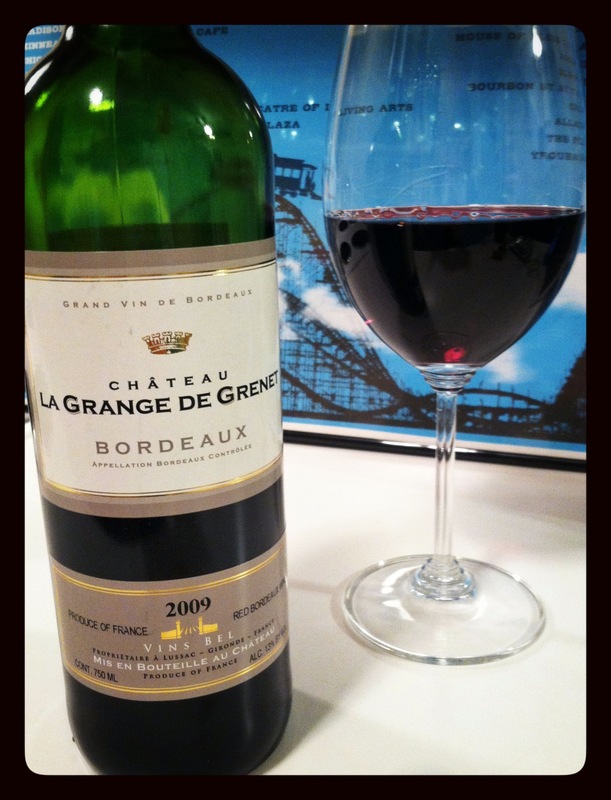 Although the Château La Grange de Grenet is more of an entry level Bordeaux, the Bels implement the same care and high standards as with their other wines. The 4 hectares of vineyards have an average vine age of 25 years, lute-raisonee farming methods [environmentally conscious, minimal interference, little if any chemicals used] are practiced and only indigenous yeasts are used. The de Grenet was vinified without the use of wood to preserve fruit purity. Dark garnet in colour, after decanting aromas of cigar box spice, earth and cherry rose from the glass. Red currant and plum flavours were backed by earthy mushroom elements in the medium body, whilst crushed black peppercorn and velvety tannins comprised the moderate finish. Straightforward with clean flavours, this is a great value and fantastic at the table.